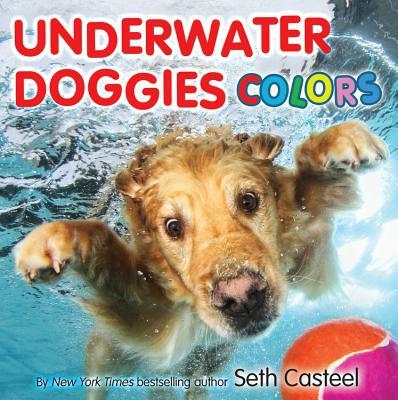 Dive into the world of colors with Underwater Doggies Colors, a vibrant board book teaching color identification through a combination simple text and Seth Casteel's trademark hilarious portraits of dogs swimming underwater. Seth Casteel is an award-winning pet photographer and animal rights activist, as well as the New York Times bestselling author of Underwater Dogs and Underwater Dogs: Kids Edition. Seth's passion for animals led him to launch One Picture Saves, a campaign dedicated to saving pets through photography. He lives in New York City with his dogs, Nala and Fritz, who are his favorite dogs to photograph. He invites you tovisit him online at littlefriendsphoto.com.